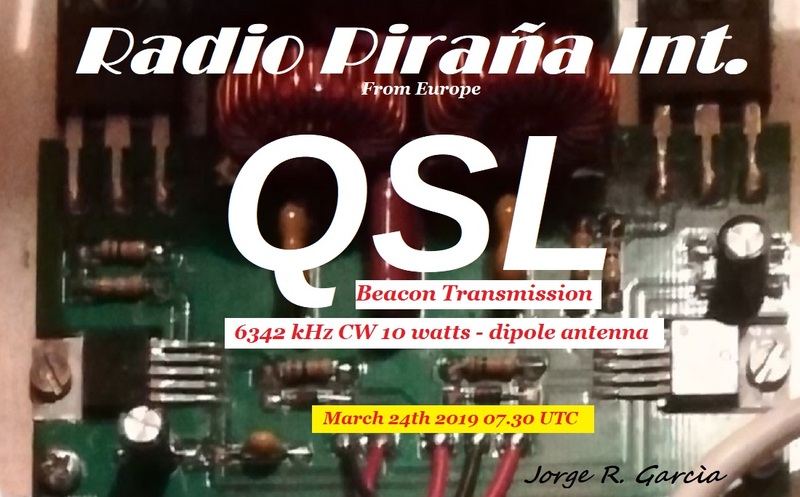 Special numbered QRP Certificates of Achievement will be issued via e-mail to any DXer who is able to copy Radio Parade's 2.5 watt (10 watt PEP) AM brief broadcast(s) during the Easter Weekend and send a valid reception report. 1) Radio Parade International must not use more than 2.5 watt (10 watt PEP) power in AM mode, use the most efficient antenna, clearest frequency on 48 meters and best time for propagation, day or night. 2) The listener/Dxer must supply a valid reception report with SINPO, time, frequency and some broadcast detail(s) for verification. If two similar or near identical reports are received, Radio Parade will have the right to request further unique broadcast information. 3) The listener/DXer may use their own equipment, online kiwiSDRs or other online remote receivers if they live far away or in an area with high local QRM and lack their own reception equipment. 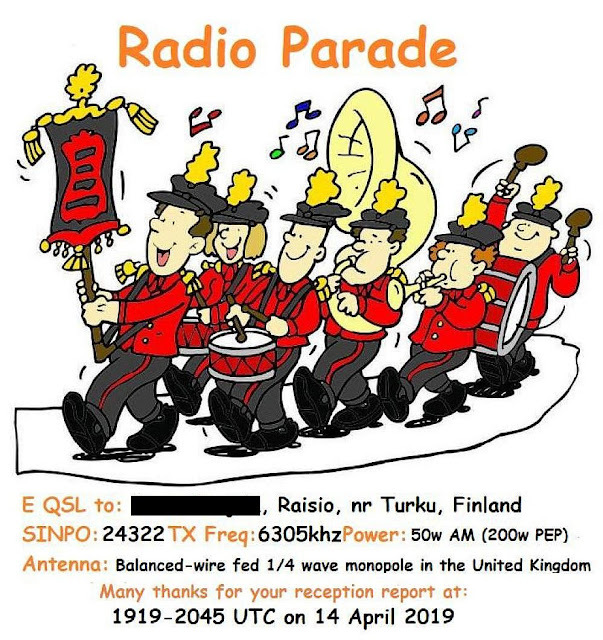 The first certificate has now already been issued to a DXer in Finland who received Radio Parade International's signal during a QRP broadcast power of only 2.5 watt AM with his home equipment. The plan to go QRP will hopefully take place if propagation conditions are similar or better to that of the last few days and last weekend, time, frequency, (short) duration are not fixed or guaranteed. I can hear it on 1512kHz here in Finland, but very poor reception.